Elder M. Russell Ballard spoke to BYU students at a campus devotional on November 14, 2017, and answered questions that covered a variety of topics. The following are some of his comments answering the question of what message he had for the LGBT young single adults. I want anyone who is a member of the Church who is gay or lesbian to know I believe you have a place in the kingdom and recognize that sometimes it may be difficult for you to see where you fit in the Lord’s Church, but you do. We believe that the core rights of citizenship should be protected for all people—for LGBT people, for people of all faiths, and for everyone else. 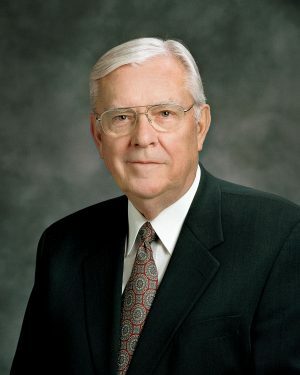 Using the recent Utah nondiscrimination legislation as an example, Elder Ballard said that “we condemn, in the strongest terms, bullying or harassment of any kind. Every person is a child of God. Everyone is entitled to love and respect. But then again, we withdrew from Scouting immediately following its incorporation of various LGBTQRSTUV et al policies and the opening of all programs to girls. Coincidence? Don’t think so.